← New Video – Foraging and Feasting on Morels! 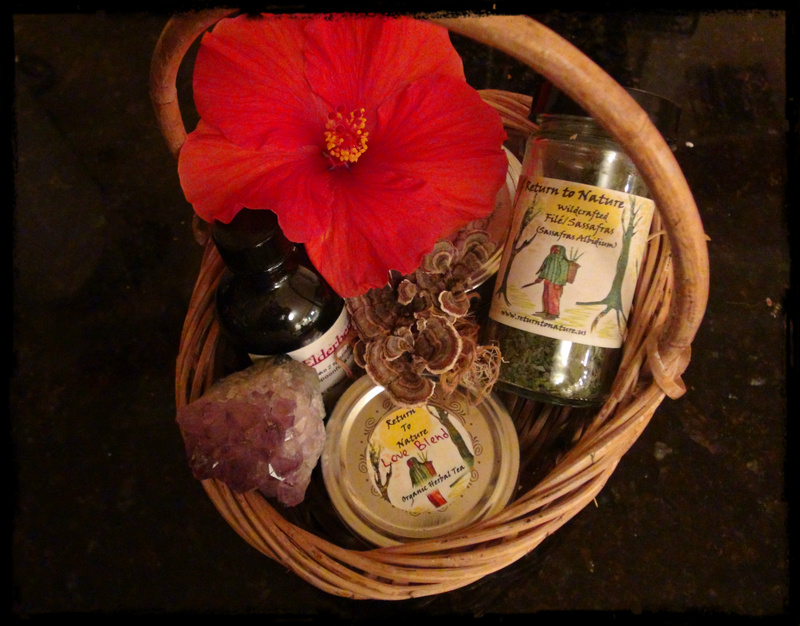 Working with herbs for Colds and Flu! Plants have co-evolved to deter virus and bacteria in the same way our bodies, they just have gotten a few million year head start on us. It is important to recognize that as plants have a correlation to the ecosystem, that our bodies are also a reflection of these same processes in nature. Why do we take plants internally and they heal us? Because they are dealing with the same cellular processes which constitute our bodies. We are literally built from what we consume, digest, and assimilate. With this said, I find that it is difficult for many to navigate the long and winding road towards being our own primary health care provider; to understand what dosage is needed for what condition, and which plant in any given situation. In this article I will help give some tips to avert taking more antibiotics, unless you truly need. Which are causing more antibiotic resistant bacteria and virus to grow stronger due to overexposure (1). In no means is this meant to be anything more than just some helpful tips that I have found effective for myself and my friends. It is important to note that in general, OTC medications often suppress the very functions that the body has learned and evolved to enact for its own healing. For example, what we commonly call a flu is actually the body’s response to a virus or bacteria infecting it. The Symptoms of a flu; heating up, producing mucous, increasing urination and excretion or vomiting, are your bodies active methods for fighting an infection; albeit uncomfortable as it is, it is a very necessary step of healing. The body is heating itself because it knows that virus and bacteria cannot thrive as well in those environments. Mucous is being produced to flush the infecting culprit out. It is also very important to honor and not suppress the body’s tools as a necessary and important way to strengthen the immune system; this process is essentially how the lymphatic system analyzes virus and bacteria and creates antigens. It is a way of genetically upgrading. With that said, we should definitely try our best to moderate discomfort, and see a licensed health care professional when we are in extreme cases. But for simple things like colds and flus it is very important step of our own healing journey to not flat out suppress our bodies natural way of teaching us and upgrading antibodies, but to aid those processes to be optimal. It is also important to understand that you often show the symptoms of an infection in an orifice, this is because that is where the virus or bacteria enter. Notice that mucous or pus is produced in these areas as a way to purge out the invader. This is a positive experience and we want to take an approach that encourages this process; not take a “symptom suppressive” approach. In time, and in a systematic way, this enables us to train our own immune system to cope with more, but too much, too fast, can be dangerous. You can see more information about this by understanding the new research coming out about the role of body micro flora in immune function. Often when people try to work with herbs, it turns out that the dosage they are taking is way too low to get the effect they need. Often, this is due to buying low quality herbal teas, not taking enough of the tincture, and not understanding how much is actually needed for an effect which is not expressed well on the package due to legality issues. This practice seems to point towards our current training in our present cultural model; something akin to taking herbs but with the same allopathic mindset. Herbs, unlike OTC medications, still have their bodies along with their chemistry, this means that without an extract or some modification you still have plant body to contend with which reduces potency. Yet, this is actually a helpful and necessary part of our healing so that we cannot overdose by overriding the body’s natural “I am full” sensation. It is also very important to honor the inherent synergy that was evolved over millions of years to create the right mix of compounds within each plant body, dishonoring this often leads to unwanted side-effects. As we learn more about the bodies functions we will not want to just cover up the body’s symptoms which are actually the body’s processes for healing. We generally do need higher doses of herbs than most are used to when dealing with an infection, so creative means are necessary, as well as potential discomfort. But be careful, get to know each plant and research it well. There are a class of herbs that known as “low dose” herbs which are herbs with some toxicity issu es and require very specific and careful dosages. For the sake of this article I will mention all herbs that are generally safe for all, unless of course, if people have individual allergies to them, so be mindful. It is for reasons such as this that it is always recommended to work with a healthcare provider that can monitor and enhance your knowledge base, as well as to do your own personal research through trusted materials. All herbal options have to be adjusted to cater to body weight and specific condition. Usually when sticking to a regiment we want to take our herbs right before meals. So 3 times a day. This helps us not only to remember to take our herbs, but also helps us to continue flooding our bodies with their necessary chemistry to do what they are able. I have often heard of people who have stomach cramps, or even food poisoning try to get a box of ginger tea and steep a tea bag in some warm water for 5 minutes. This is extremely insufficient, I estimate it would be more like 1 box a day. 16 teabags, 4 teabags in 1-2 cups of water simmered on medium, for 5-10 minutes with a lid on, 4 times a day (this equals 16). Yes that is a lot of tea, but it’s a dosage of ginger tea that will create effects. It’s much easier to get fresh ginger, which greatly increases potency. There is something with all cells called oxidization. The more surface area the more oxidization happens. When a plant is broken up to small pieces or powder it oxidizes fast. This is rapid breakdown of active ingredients. This means they will generally be less effective than, say, getting your own herbs whole and powdering them/crushing them yourself. To make an herbal powder is easy, you can just use a coffee grinder and grind as needed. You can just supplement a powdered dosage with fresh by 1:2 ratio, 1 part fresh, 2 parts dried, this is a general rule for taking anything you would consider a kitchen spice as a medicinal herb. There are many plants that I’ve worked with over the years. In my own personal experience they work very well. Synergy of several plants is always more efficient than taking one plant and not changing anything else in our life. Some common plants like elderberry, echinacea, chamomile, ginger, raw garlic, work best on those times when we feel a cold coming on. Elderberry is very helpful for dry persistent coughs. During a cold or flu, an herbal remedy such as olive leaf tincture can be very helpful. How helpful is determined by what product you use how potent it is. Olive leaf tincture (standardized) works very well at three droppers full 3 to 5 times a day for an adult around 150 lbs. I have use that and experienced and seen great effects this winter. Honey with lemon juice and black pepper are all expectorants which help break up mucous in the bronchial passages. They also give the body phytochemistry to target the pathogen itself. Raw onions are also especially effective at breaking up and helping mucous flow. Remember that the mucous is the body’s way of purging the viral or bacterial infection. Helping that process be optimal and efficient is much more effective than targeting the mucous as the problem and trying to make it go away which will often lead to remission. I have found that many are able to take ginger, turmeric, or garlic raw, if cut up into small and swallow-able pieces, and swallowed with juice or water. This can be helpful when you feel a flu or cold coming on, or are sick in bed that you can swallow a large amount of these, say a quarter size of chopped pieces every hour or 2. Oregano oil has become a go-to for many, I see this as a fall back in my practice and would prefer to take tinctures, as I am concerned with caring for my gut microflora which seem taxed through oregano oil. When needed, I prefer to take oregano oil in pills which are easily obtainable as “veggie-caps”. The reason I take it in pills is because this substance is an essential oil, meaning that the chemicals within the plant, mainly oreganol are extracted and potentized through the distillation process. The oregano oil can burn esophagus or give stomach upset since it’s almost caustic at this concentration, a very little goes a long way. This is its blessing, and for travel to other countries it is a lot of doses in a small bottle. When taken in a pill it can get past duodenum before it is released. For a cold, you can put 2-4 drops in a veggie-cap and take 2 times a day to start, you can work up to 3-4 drops 4 times a day, but don’t take for more than 5 days, and supplement your probiotics with vegetable ferments or yogurt. If you do want to consume it without putting in a pill add 1 drop to around 16 oz. of water. It’s never recommended to take it right into your mouth as you can really feel the burning, which is cells dying. This is also a good background dose for complimenting food poisoning, or if you feel you’re going to get sick, however I’d prefer a tincture if I had it. 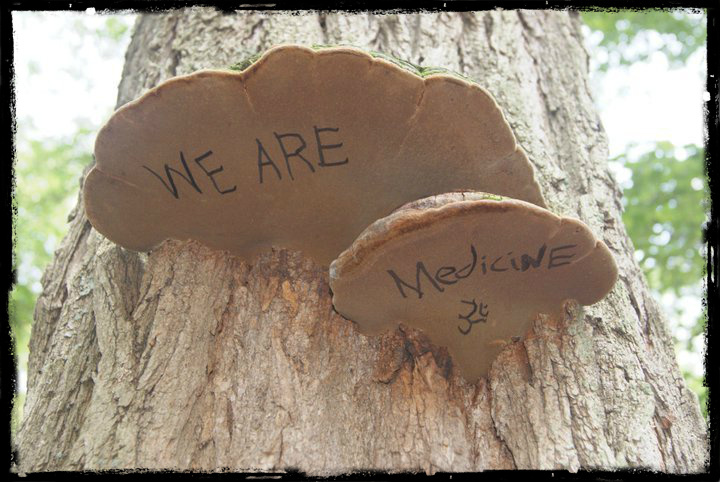 There are also several mushrooms that are antiviral and antibacterial such as Chaga (Innonotus obliquus), Reishi (Ganoderma spp. ), Turkey tails (Trametes), and birch polypore (Piptoporus betulinus). 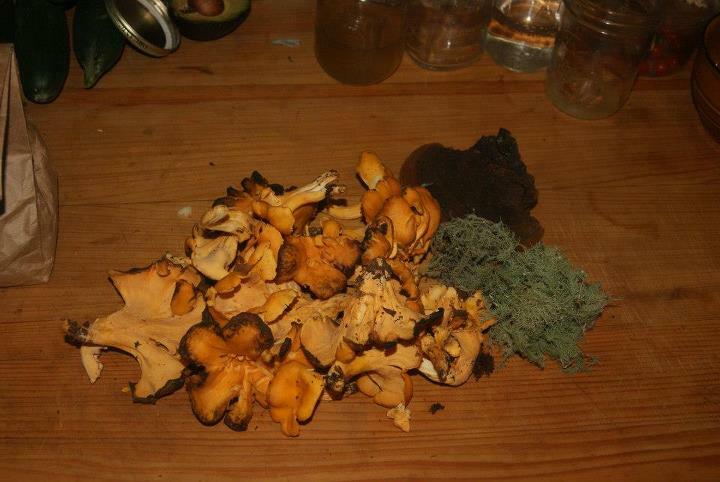 These mushrooms all have a long term tonifying effect called immune-modulating (2). This means that they are very helpful to restore immune function that has gone through trauma when taken in long term. It’s most important to understand our own healing and working with herbs based on what we have available or are able to access, as well as honoring our own limitation which can grow in time with the right training. We never want to take on too big of a task which can cause us harm. There are incredible amounts of resources online, books, classes by herbal teachers, and even weekend seminars with the world’s most prominent herbal teachers to attend, and strengthen your knowledge base. I, as well as many teachers run continual courses and classes to help facilitate this education. Do you have a health food store close to you? Do you take tinctures? Do you prefer teas? Can you dose up on raw garlic or are you not interested to smell? Do you hate to swallow pills? Questions like these really help you to understand what herb forms are most practical for you to commit to, as commitment to an herbal regiment is often the hardest part. Don’t forget that having an herbal skillset that you can rely on takes time to develop and is a lifelong practice. That means you shouldn’t make definitive choices from a few minutes of searching online. And in no way shape or form do I discourage taking any medications, going to doctors, or getting the right diagnosis when needed. I’d go to the doctors and take antibiotics with no drama if I truly felt that I needed.